Apex Legends has found so much success as a battle royale game in part because it features characters with different abilities and skill sets. This character concept would introduce a Legend with jetpacks. Apex Legends, the newest battle royale title on the market, has a growing list of characters coming into the game through updates and that leads many fans to create their own takes on who should be added to the game. While leaks have been pointing towards Wattson as the next addition to Apex Legends, there are still numerous other options for Legends that could appear in the game. 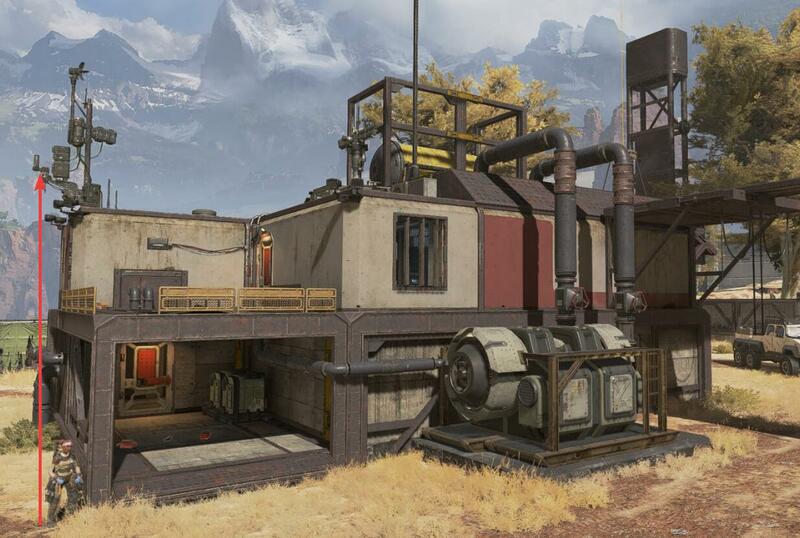 This new concept, created by Reddit user TheRealMeowCat, shows Highrise who would add some much-needed verticality into Apex Legends. Here's a look at how his powers would look in Apex, if he were to ever enter the game. Highrise and her teammates' jetpacks do not produce smoke trails. Tapping jump when airborne while Highrise's tactical is available will engage gliding thrusters for enhanced aerial movements. Activate to launch yourself vertically. The longer you hold the tactical button, the higher you go (up to a limit). When released, or max height is achieved, hover for in place for 3 seconds. Overload your thrusters, firing a shock wave out from your location. Enemies suffer knock-back and aim-punch. Also kicks up dirt and dust, creating a disorienting smokescreen. There's always room for more characters in Apex Legends. Apex Legends definitely has a place for a character like this but it remains to be seen if Respawn would ever go this route. Read More: When does Apex Legends Season 2 start? Jetpacks would definitely be unbalanced if everyone doesn't get access to them which is probably why you aren't able to do stay in the air forever with this concept. The poster of this concept clarifies how the character would remain balanced in the comment section of his post. The hold jump to glide mechanic would need some alternate controls for console players to maintain aim while gliding. Scrape the Sky height wouldn't be wildly high, enough to shoot someone on top of a two story building. Scrape the Sky can be manually cancelled by pressing the Tactical button again. The smoke screen caused by Overload wouldn't be nearly as opaque as Bangalore's, just enough to muddy up your vision a bit.